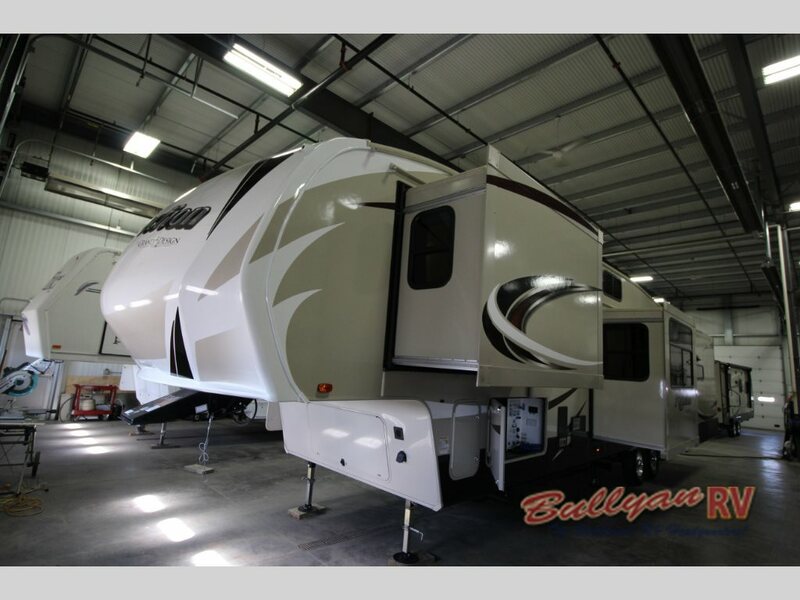 Save Thousands on the 2016 Grand Design Reflection 367BHS Fifth Wheel! IT IS YOUR LAST CHANCE. We only have one 2016 Grand Design Reflection 367BHS left, so we are offering it at the highly discounted price of only $59,995! 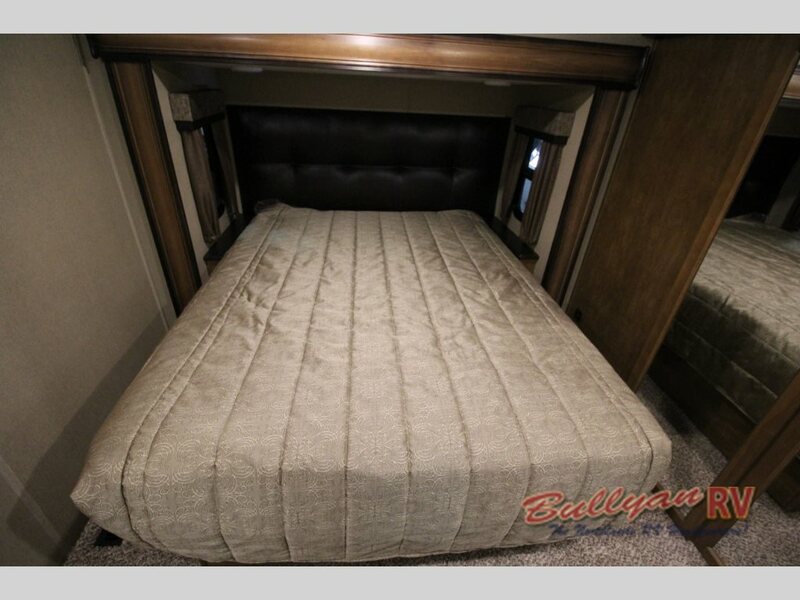 At a regular price of $70,278, you save over $10,000 to get this amazing quad slide fifth wheel to add style and luxury to your RVing lifestyle. 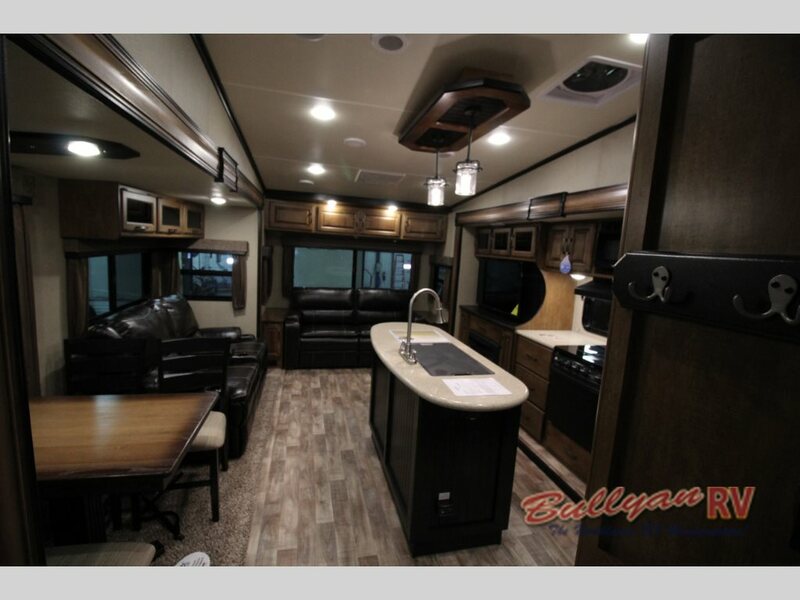 Check out our last 2016 Grand Design Reflection 367BHS Fifth Wheel! Immediately upon entering the Grand Design Reflection, you will see an open floorplan that will be large enough to fit up to nine people to make it perfect for a large family. The first room you will see is a unique second bedroom or office! Here you will find a tri-fold sofa with hide-a-bed, a desk, and a wardrobe. Plus, this room will have a loft above it to add even more sleeping space! And with a door, it will give more people the privacy they need to fully relax and enjoy the trip. With dual opposing slides, the living room and kitchen area is spacious enough for everyone! The kitchen and living room area will be located at the rear of this Reflection fifth wheel, and it will be an impressively large space. With dual opposing slides, the area will be spacious enough to have a kitchen island with sink right in the middle. This will add more counter space, so the rest of the kitchen slide will have room for the three burner range, large four door fridge, and pantry! Enjoy the entertainment center and fireplace from the residential quality furniture. The entertainment center will also be located in this slide, so you can enjoy watching the 39” TV from any of the seating options in this room. You are sure to have a perfect view of this television or the fireplace directly beneath it from the theater seats, dinette set, or tri-fold sofa. The master bedroom comes with a slide to make room for the walk-in closet and queen sized bed. The last slideout will be located in the master bedroom. It comes with a queen sized bed but can be upgraded to a king if you desire it. Since this bed will be in the slideout, it allows for more space in the room to be used in other ways such as a completely walk-in closet at the far front! 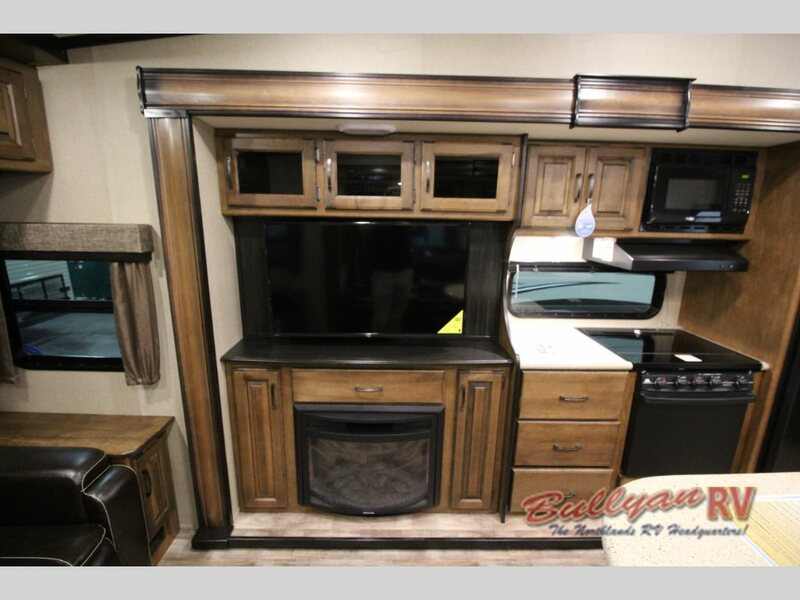 With only one more 2016 Grand Design Reflection 367BHS available, it will not last much longer! So hurry up and contact us to find out how you can save thousands of dollars on this incredible luxury fifth wheel. Or just come by our location to take a look at it, and hopefully, you will be able to drive home with it.